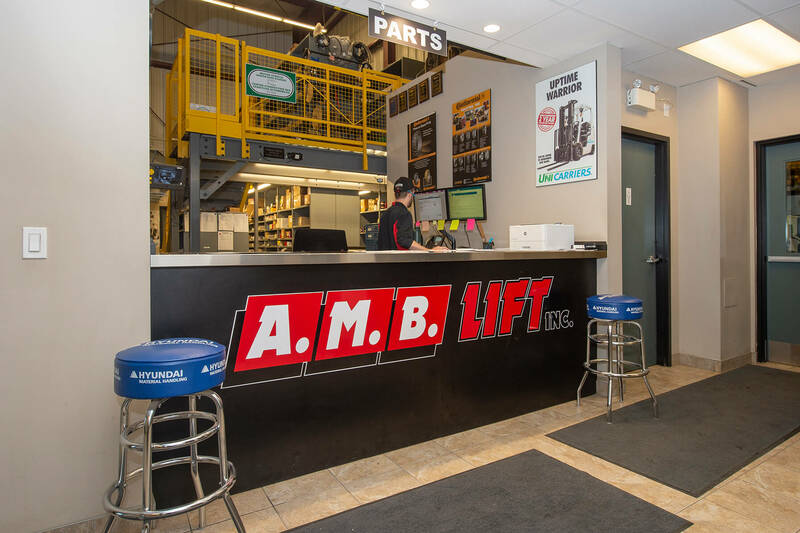 Lift Truck Parts in Ottawa | A.M.B. Lift Inc.
Our knowledgeable and experienced Ottawa-based parts staff can help you identify any part number for any make or model lift truck. We are able to meet any and all your parts needs. A.M.B. Lift Inc. offers Original Equipment Manufactured parts (OEM) and premium aftermarket parts. We offer custom parts inventories to support any special customer fleet requirements. We can supply and install tires for any make or model of lift trucks. We also carry a wide range of lift truck seats at competitive pricing.